The Amazon Echo is the speaker that started it all, and the Echo Dot is Amazon’s latest and greatest Alexa speaker. They’re both still fine options, as is the Amazon Tap, but Amazon’s not the only game in town anymore when it comes to Alexa-enabled speakers. In this post, you’ll find four other options that give you access to all the same Alexa skills as Amazon’s speakers, but they sport different designs and different features as well. PLAY MUSIC FROM YOUR FAVORITE SOURCES: Simply click and ask Alexa to play your favorite songs. The Aud Click works with major services and stations, including Amazon Music, Tunein, iHeartRadio, and more. You can also play music from playlists on your phone. Even when you do not have WiFi access, you can still play music through Bluetooth connection. BRING IT WITH YOU ANYWHERE: The Aud Click is fully portable, so you can bring it with you and use it on the go. The extremely small size and impressively long battery life make the Aud Click the perfect companion for your next picnic in the park, walk to the beach, or even for the times you want to simply walk around the neighborhood. Anywhere that you want to go, bring the Aud Click with you and have your music by your side. SUPERIOR SOUND WITH 360 DEGREE OMNI-DIRECTIONAL AUDIO: The Aud Click uses a unique open-ended speaker that can project further than most speakers of the same size. This impressive new technology allows the sound waves to expand further out, providing clean and crisp acoustics. MULTI-ROOM LISTENING EXPERIENCE: Using the WiFi, you can connect multiple Aud Click speakers together throughout your home. Through the app you can control the music in each room. Whether you want to play the same song throughout your house, or provide a different atmosphere in each room, the Aud Click will meet your music playing needs. You can also have one set of multiple speakers to left mode and the other set to right mode as stereo. 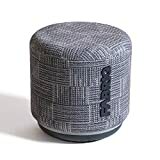 FABRIQ is an interactive voice and touch controlled multiroom speaker that uses Amazon Alexa Voice Service to play music, control smart home devices, set alarms and much more. Just tap on the mic button and ask Alexa. FABRIQ is a standalone Alexa device and does not require an Echo or Dot. 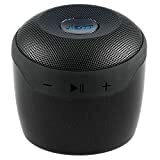 Small speaker, big sound. The 2” precision active driver along with 5W of power provide crisp sound at any volume. Using Wi-Fi, you can connect up to 10 FABRIQ speakers for a multiroom sound experience. You can play music synchronously through your home or chose different songs for different rooms. 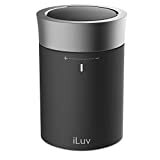 Hands-free Wi-Fi speaker to be certified for Amazon hands-free recognition, Music and AVS; can hear your voice requests even when music is playing or in a noisy environment. Streams high resolution audio (192khz/24bit; 44.1KHz/16bit) through dual 4W speakers, bringing you a feast for the ears. 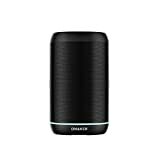 Features Wi-Fi, Bluetooth, and dual built-in batteries making Omaker WoW a wireless portable speaker you can take anywhere.